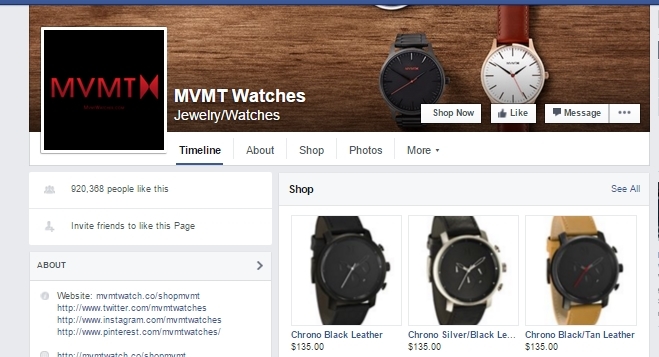 As people spend increasing amounts of time on Facebook, Twitter, Pinterest, etc., merchants are joining efforts with social media platforms to sell goods and services via these venues. A number of shopping tools are now available to consumers who just happen to be chatting or posting online- and all without the inconvenience of leaving the social platform. As an affiliate marketer or seller, this is good news for you because you don’t have to compete for the attention of social media users as much as you did before. Instead, you can cooperate with social media and integrate your products right into the platforms. Users that are busy chatting or updating their statuses can quickly buy your products, then go right back to posting and tweeting. To get started, you should input your products into an e-commerce platform like Shopify or Bigcommerce. From there, you’ll be able to select the below social platforms as channels into which you can integrate. Some social platforms will only allow you to display one product at a time, while others will give you the option of displaying three or multiple products in a single ad. You can now advertise your products and services on Facebook through its business pages using Facebook Shop. This feature enables you to sell to your social audience without asking members to click away from Facebook. You can even add a subscribe button so that visitors who like your page know when new products are added. Facebook Shop is available on mobile and desktop platforms and integrates with e-commerce platforms like Shopify, Wix or Bigcommerce. Checkout can occur through the e-commerce platform or directly through Facebook. You can also link your Twitter, Instagram and Pinterest accounts to your Facebook business page and showcase the products available on those platforms. If you already have a Facebook group going, linking your Facebook business page to it can be an effective method of drawing buyers to your ready-to-buy products. Furthermore, unlike Facebook Ads, it doesn’t cost anything to list your products. Just like Facebook’s Shop function, Twitter’s Buy Button allows its platform users to purchase products directly on Twitter and not click away to “offline” websites or e-commerce platforms. This feature integrates with Shopify, Stripe, Bigcommerce and Demandware e-commerce platforms. 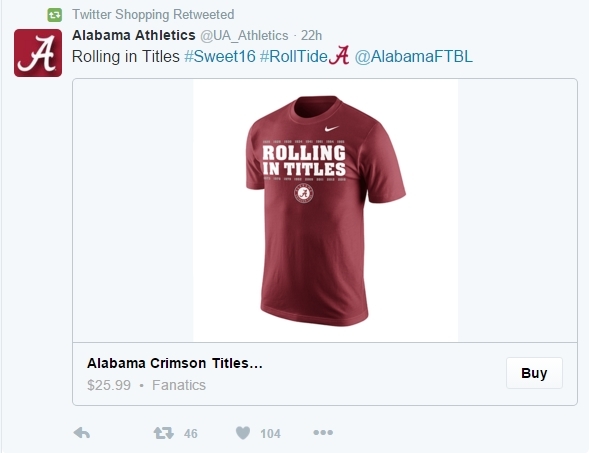 Currently, Twitter’s Buy Button is only available for U.S. merchants and customers. However, it is expected to grow and spread to other localities as the social media giant attempts to increase new subscribers over time. Twitter’s Buy Button is useful for affiliate marketers because it adds an image to the look-and-buy process that was missing with traditional tweets. 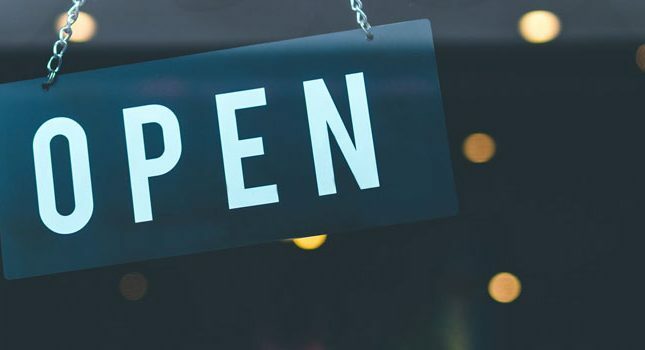 With users seeing the product as well as the opportunity to purchase it immediately, there could be a boom in revenues for this new functionality. 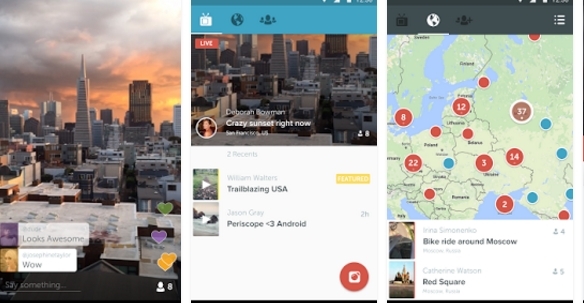 Twitter acquired Periscope in mid-2015, and it is an app that allows users to post live stream videos on Twitter. The videos can be commented on; users can also “heart” them. Affiliate marketers can combine their Twitter Buy Button listings with Periscope videos to provide viewers with a more in-depth experience of the products and/or services offered. For example, product ads can be coupled with video reviews showing how they work. Boring service offering tables can be matched with videos showing how they benefit the consumer. Reddit Ads don’t have as many advertisers as Facebook or Twitter, perhaps, but that lack of competition is good news for smaller merchants who can’t afford to spend a lot of money on advertising. In fact, you can purchase Reddit advertising for as low as $5. That’s incredible considering that Reddit has over 5 billion page views per month. If you create a sponsored post in a subreddit that’s directly related to your business or product line and blends in with other subreddit posts, there’s a good chance that it’ll catch the attention of this platform’s users. Pinterest has been one of the faster growing social networks, with 87% of the platform’s users purchasing items initially discovered here. 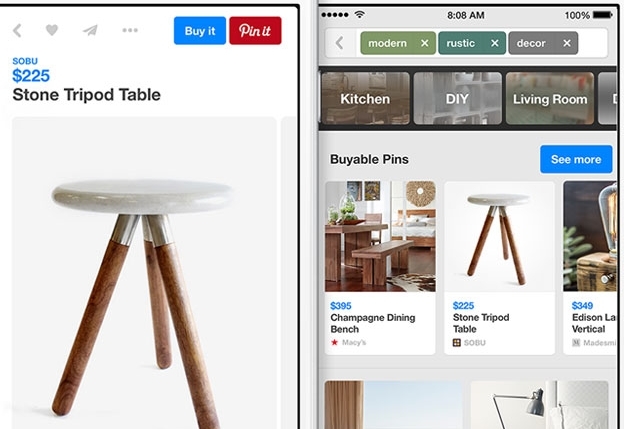 Thus, it made perfect sense for Pinterest to integrate a shopping API, termed Buyable Pins, in June of 2015. Buyable Pins provides a means for users to purchase products directly on Pinterest without leaving the platform. These buyable pins are colored blue and contrast well with the traditional red ‘Pin it’ buttons. Pinners can also use a price filter to select items that fit into their desired budgets. Checkout occurs via credit card or Apple Pay. Affiliate and other marketers don’t have to stop at just showcasing their products via the shopping apps noted above. Contests, surveys, and sign-up forms can also be used to make social media users aware of buying opportunities. 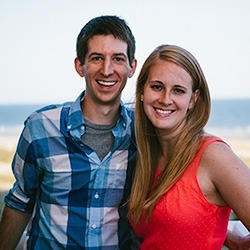 Group members can be encouraged to submit their own photos and reviews- and be rewarded for doing so with a product discount (such as a coupon). Although it’s tempting to try all social channels at once (especially when the e-commerce platform itself isn’t free), marketers should pick one or two and stick with that. 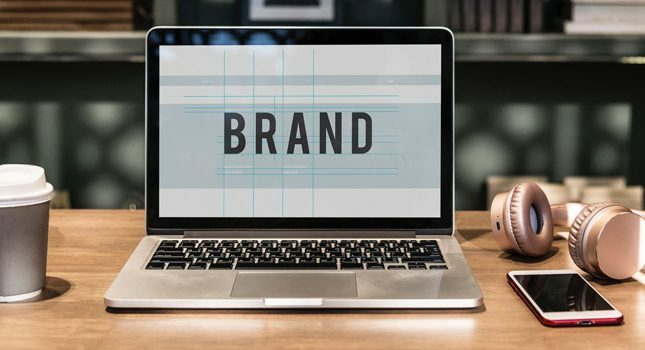 This way, they’ll understand which products and promotions work best in each social channel before going down other avenues. They’ll also be able to run analytics on their campaigns to improve ROI. In my opinion, social media is the best choice for online video marketing, as recent stats show that there are 2 Billion users around the world who are somehow online on Facebook Twitter or Youtube.